papery mash: Boom! A scrapbook page!!!! Hello! 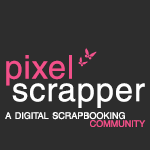 Are you all having a crafty weekend? I thought I'd kick of the first post of 2017 with a scrapbook page! I found a cute photo of Millie when she was about 2 and a half, it wasn't a great photo composition wise so I had to do a bit of cropping, result being I was left with quite a small pic. That's ok tho as I thought I could do the layout as an 8x8 instead of having her lost on a 12x12 page. At first I was sure I was going to do a minimalist design but that didn't happen!!!! Whoops! So as usual, this one kind of developed as I went along. I had a few stop start moments with it - I cut a title for it with my Silhouette but, as I'd not used it in months, the software needed updating and the machine really started playing up. About an hour later I eventually got it to cut the title and guess what? I didn't even like it on the layout!!! So it was back to the drawing board for the title. I think what happened was it just kind of overwhelmed the layout - I was forgetting it was just an 8x8. 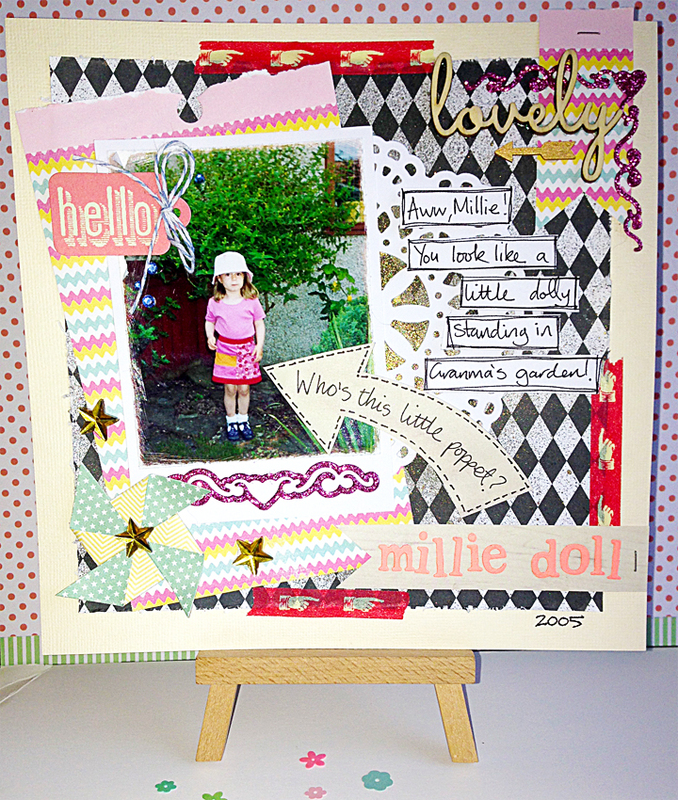 I decided to go with a die cut title instead - "millie doll" which was die cut with some xcut mini alpha dies which worked great and left room for a bit of journaling too. Yay! Come back soon for some cards and paper houses!!! Thankyou Claire. It's one of my "kitchen sink" style LOs Lol!